Show me a person who sees uncertainty as opportunity, and I’ll show you a person who has mastered the new world of work. For many people, struggling to make ends meet — even while doing what you love — would be the stuff of nightmares. But for Juliet, the two went together. She was adamant that if she had been successful too soon, like some of her peers, her work would not have been as fierce and original as it turned out to be. Years later, she would decline the offer of a salaried residency at a prestigious college for fear that the comforts and demands of an institutional affiliation might take the edge off her work. Stories like Juliet’s have long been common in the art world. But today, people in many industries can relate to her story, or share a similar one of their own. Sue Ashford, Amy Wrzesniewski, and I have collected many such stories in the past few years, for a study of knowledge and creative workers who made independence work for them. We heard freelance journalists, consultants, designers, software engineers, and executive coaches share tales much like those of the artists we spoke to. That is, stories of creative struggle, bitter loneliness, and chronic uncertainty. And yet, like Juliet, most of them claimed that they would not have it any other way. They might be uncomfortable, but they were free. I must confess that I was skeptical at first. I saw those stories as comforting illusions that filled the void left by secure employment. While precariousness exists in organizations too, there it is often temporary — tied to the early stage of one’s career or to a sudden change. For independent workers, however, precariousness is chronic — no matter how long one has been at it, and how much success one has had in the past. But then, I would think that. I am ensconced in a university, immersed in research and pundit communities that still regard the lack of full-time employment in an organization as a deprivation of sorts. On second thought, however, couldn’t many of our deepest longings — safety, love, respect, freedom — be called illusions? And even if they were, would life be worth living without them? Furthermore, why are we so intent on forgetting that organizations can be depriving too, and at times even abusive of their employees? The more I learned to see the world through independent workers’ eyes, the less I saw their stories as confabulations. They might have been illusions, but they were revealing the truth of the people who told them and the reality of modern work. In a fluid world of work, sociologist Anthony Giddens once wrote, “the capacity to keep a particular narrative going” is what gives us an identity. We might grow up being told that we can become whomever we aspire to be, but that is seldom true. We can only become the person whose story we can keep telling and acting out in the world. Seen that way, the ability to believe our illusions, and live them out, is a useful and precious gift. (Another word for that ability is “power.”) And the most important question is not if our favorite stories about ourselves are illusions, but what use those stories are, which means what work they do for us, and what it takes to keep them real. Most useful and precious among our illusions, my research suggests, is the illusion of one’s self as masterful — able to endure adversity, experience freedom, and be of service to others. A masterful self is not just a source of personal pride. It is an insurance policy and a valuable asset in an age in which most of us are deeply attached to our work but not as loyal to our employers. Few of us these days expect our organizations to guarantee a job for life. In that sense, we are all independent workers, whether we know it (and like it) or not. At many companies, mobility defines talent: the people who feel safest are those who know they can leave, and the people organizations are often most desperate to keep are those with ample options elsewhere. Such people take great care to keep those options open, and expand them. For example, while organizations often offer leadership development opportunities to the people they want to retain, in one study, Jennifer Petriglieri, Jack Wood, and I found that such managers used leadership development initiatives as a way to make themselves more portable, which made them feel more secure and valuable in the marketplace. Freelance workers and corporate managers might seem very different, but they have much in common. Underneath their pursuits of independence and portability lies a shared aspiration to fashion a masterful self. A self in charge of one’s work productivity or career trajectory. Master, ultimately, of one’s working life. A masterful self is useful because it protects us against the loneliness and uncertainty of working on our own or moving from job to job (or city to city). It spurs us to take responsibility for our learning and productivity. It makes us more confident and effective. It is precious because it transforms us from captives of our circumstances to shapers of our destiny. But here’s the catch. We can’t achieve and hold onto a masterful self on our own. Both cohorts of people that my colleagues and I studied took pride in their mastery, and took care to cultivate relationships that helped them endure and enjoy their independent and mobile working lives. They might have been nomads, but they needed a tribe. Most of them swore by the value of networking, but they saw it as a necessary evil. They were constantly aware that they needed to keep doing it, and that every new conversation might help advance their work or set it back, turn into a source of revenues, support, or disappointment. This uncertainty kept them on edge. In contrast to their expansive networks, the people we studied often described having a tight community, often a handful of people, who took the edge off their working lives. With those people, they were neither on show nor for sale. They are strong spaces, not just safe spaces. Besides letting us feel accepted as we are, they encourage us to show up generously in the world. They give us courage as well comfort. That is why we end up feeling that it is our tribe, rather than a tribe that owns us. They care about learning, not just performance. These tribes let us take risks to try something new, rather than force us to keep doing our best. They are there even, especially, when what we are doing is hard, feels clumsy, and has not yet shown results. They are a source of questions, not just advice. More than a pool of experts serving as resources when you need them, these tribes raise the questions that help us explore the edges of our competence and identity, or send us in new directions. Hard as you might look, my work suggests, you cannot find such communities. You must build them yourself. Organizations often want to influence such communities. Some try to deliberately form those groups — by establishing formal mentoring networks or learning cohorts, for instance — but those won’t become a community until members decide to make them one. Many remain just a network, or traditional tribes, where people are too worried to challenge, encourage, or question each other, for fear that they might be unwelcome. Other organizations go in the opposite direction, attempting to eliminate tight communities (which they call silos) for fear that they will stifle collaboration. These kinds of communities, however, by their very nature, resist such attempts at control because they let us feel attached without asking us to sacrifice our freedom. They are open tribes. Perhaps the contemporary workplace, with its celebration of independence, might be stoking the tribalism that makes it inefficient. Our loose attachments to institutions make it more necessary to find our tribe. The best of those, which I have described here, makes us more settled and open. The worst, wind us up and close our minds. 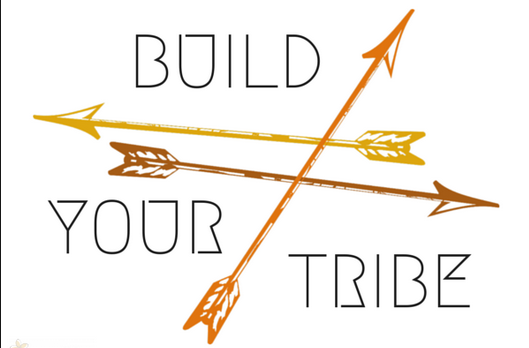 Leaders who lack a tribe might find it hard to lead, and those whose organizations have too many tribes might have trouble too. And yet we need those open communities, those peculiar tribes. Without them, it would be impossible to remember who we are and to imagine who we might become.